CarMax Inc., the largest retailer of used vehicles in the nation, recently announced its plans to open four new stores in the coming times. These are to be located in Washington State, Alabama, Pennsylvania, and New York respectively. Work is going on in this regard at an almost war footing and the company is hopeful that these stores will begin operations by 2014, by the March-May period. As an expansion of rolling over 249,000 SUVs in last August to check for a short in the circuit board in the drivers’ door, General Motors, a top-tier auto manufacturer, has recalled an additional 231,000 vehicles that might also have the danger of electrical short, which can cause fires. The sports utility vehicles involved in both the recall segments include Buick Rainier, 2006 Chevrolet Trailblazer EXT, 2006 GMC Envoy XL, GMC Envoy, 2006-2007 Chevrolet Trailblazer, Isuzu Ascender and Saab 9-7X. According to General Motors, about 443,000 of the SUVs of more than 480,000 that were recalled are in the United States itself. With the focus on globalization, Toyota Motor Corp., one of the leading auto manufacturers in the world, entered the American market in North America and South America with two familiar names for drastically different markets. Jim Lentz is the new CEO for Toyota in North America, whereas Steve St. Angelo will head for the Caribbean and Latin America. Their performance uniquely in these two markets will determine the company’s success in the biggest market ever, the United States of America, and in the region with one of the highest growth potentials ever. The recent decision of the Obama government to sell more of their General Motors stakes finally confirms the resurgence of the auto industry in the country. This is surely hearty news for the domestic industry, which has been struggling with a near collapse for years now. 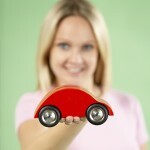 You are currently browsing the Auto Insurance News blog archives for June, 2013 .